Why See BalletBoyz - Them/Us? Renowned the world over for their modern, exciting and inventive look on the world of dance, BalletBoyz return to Sadler's Wells with their latest project, Them/Us. 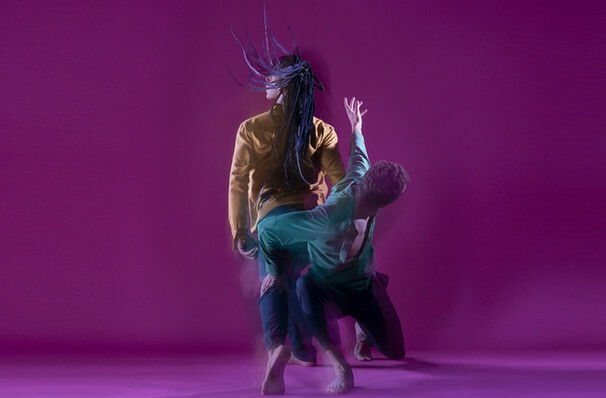 Co-created between the company's dancers and Christopher Wheeldon and featuring contrasting scores from Keaton Henson and Charlotte Harding, Them/Us explores the notion of otherness and the fine balance between 'us' and 'them'. Existing in a few incarnations since 2002, BalletBoyz is the brainchild of William Trevitt and Michael Nunn of The Royal Ballet. Credited with bringing ballet to new audiences, BalletBoyz continually present new and invigorating works that display world-class choreography and the skill of this most talented company! Seen BalletBoyz - Them/Us? Loved it? Hated it? Sound good to you? Share this page on social media and let your friends know about BalletBoyz - Them/Us at Sadlers Wells Theatre. Please note: The term Sadlers Wells Theatre and/or BalletBoyz - Them/Us as well as all associated graphics, logos, and/or other trademarks, tradenames or copyrights are the property of the Sadlers Wells Theatre and/or BalletBoyz - Them/Us and are used herein for factual descriptive purposes only. We are in no way associated with or authorized by the Sadlers Wells Theatre and/or BalletBoyz - Them/Us and neither that entity nor any of its affiliates have licensed or endorsed us to sell tickets, goods and or services in conjunction with their events.